So, I did it. 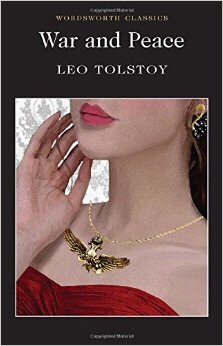 I finished Book One of War and Peace. Or, I think in some editions, it’s Part One? I noticed with the book I’m reading, it says Book One. The Audible version says Part One. Unfortunately, I have many more to go. So far I’m enjoying it. At least from what I can get out of it. There are many characters and a lot of detail. I really need to stay focused when reading it. It’s one of those books where you can’t let your mind wonder. I’ve learned no TV or music on when reading this one. Like, I mentioned above. I did download it from Audible. The narrator would be perfect for this if it had been an easier book. This one? Again, with all the characters and detail? It makes it a lot harder to focus even with the narrator. I’m still going to try and listen to it though. So far the best way to listen is when I’m walking Gabby, my dog. Car? My mind wonders. Wait, that sounds bad. It’s more like I lose focus because of the driver in front or behind me. Most of the time, being an idiot. I have heard it gets better as the book goes along. So fingers crossed. Hopefully, I’ll have another update soon.